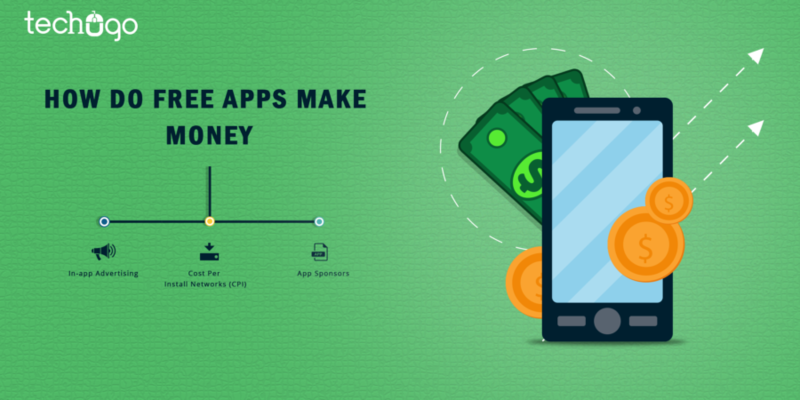 Not a single app is developed without considering the monetary benefits to be associated with it and if the mobile apps and its concept is good it makes money too, but something which is most surprising is that how free apps make money? It has not been much longer since mobile apps have made an entry into our world, and have got next to our skin and there is no regret attached with it as well. We all utilize various genre of mobile apps, hailing and settled on the different app platforms, for some we pay and for some we don’t, thinking least that how the free apps make money. The moment we start utilizing the so-called free app, we get too much involved with the functionalities of the mobile app, that we almost forget there are certain ADS, which keep on reflecting in-between the app and we hardly notice. Eventually, the in-app advertisement comes in different variety of sizes, positions and the placements in the app, these advertisements are well placed, that we hardly take a note and app mints money. Worth to mention that a mix of ad formats and infused with creativity would generate the maximum revenue to developers and of course engagement for the users. It is another interesting way to make money, wherein on every app install you pay an average fee ranging from $ 0.80 and $3.00, it is a minimal amount which users have to pay and in return app, developers get the constant profit that parallels the download count. In order to make money, app sponsors are another way to make a bit of revenue. A sponsor lets you get the money roll-in and elevate the reputation of your brand. Finding a sponsor is not an easy task, but if you have a strong selling pitch and you are able to forecast what your app has to offer and with the analytics you can prove further the popularity of your mobile app, then you indulge yourself into a situation which is win-win for all, and you are ready to rock the floor. You can learn more Unique & Best Ways for App Monetization and get your every query answered. On the other hand, to get the best mobile app with the rain of money, then you need to get it developed by a top mobile app developer, who are able to understand your app requirements and business goals, and ready to serve the best possible app solution. If you are unable to find out a leading mobile app development company in the market for your app concept, then we would like to recommend a top mobile app development company to you, which is none other than Techugo- mobile app development company. Techugo has a track record of developing some of the most successful mobile apps for the successful brands and startups across the globe. So what are you waiting for, just pick your Smartphone and get in touch with Techugo to get a sizzling and the successful mobile app ready for you.